Newport News, VA – Recent power rankings were released from Race22.com (For a full Top 15 rundown // Power Rankings: Limited Late Models) showing the top fifteen Limited Late Model drivers in the Mid-Atlantic region in their eyes. Towards the top of that leaderboard are three drivers set to go to war this evening on the high banks of East Carolina Motor Speedway in Robersonville, North Carolina. Louis White (#5), who has practically walked way with this years points lead at East Carolina (currently sitting at 394) boasting a very impressive record of 6 wins, 1 second and 1 third at this high bank oval will have some pretty stiff competition this evening. Louis has also run a limited schedule at SNMP this season running three races so far this season, capturing two back to back third place finishes while racing Daniels. White’s performance at East Carolina this year is no doubt helping him hold strong to his spot on that power ranking. Rusty Daniels (#2), the man who captured the first win of the 2014 season at East Carolina Motor Speedway currently sits fourth in points. Partially due to missing one race on the season and an unfortunate twelfth place finish in his last outing. However, do not let one bad night fool you as Daniels has finished second in all but one of those three races mentioned above. Running at more than one track this season Daniels also sits fourth in Southern National points, only 76 behind current point leader Haley Moody. Daniels has been riding a hot streak so to speak the last few weeks winning three of the last four races at SNMP! East Carolina is not a place where he struggles and we have seen him run strong countless times. Tonight however he will need to have his A+ game. Finally, last but certainly not least Bradley McCaskill! Bradley, cousins with Deac McCaskill, currently holds the number one spot in the power rankings and for a good reason too! McCaskill has three wins so far this season, and before you get all defensive and go on a rant about so many other drivers have won more, I want to back Racee22 on this pick here. Those three wins have come from three different tracks, East Carolina Motor Speedway being one of them. In fact McCaskill has run races at about six different tracks this season and running well at all of them I might add! Tonight will put the true ranking of these drivers to the test as all three look to grab one more win this season! Who do you think will win tonight? Do you feel these rankings are accurate? What does your Top Five look like? 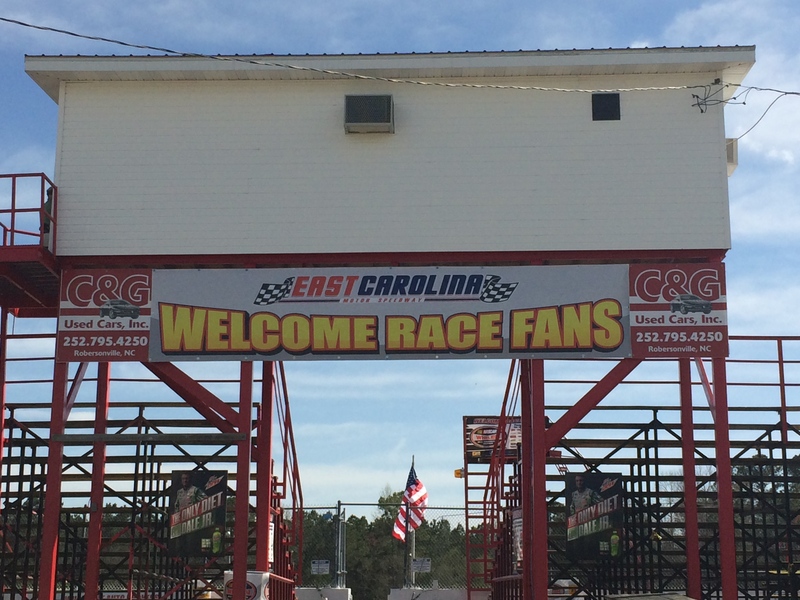 Find out yourself tonight, gates open at East Carolina Motor Speedway this afternoon at 4pm, practice is set to get underway at 6pm with the drop of the green flag around 8:00. I invite you to visit their website www.ecspeedway.com as well as their Facebook & Twitter for more information.